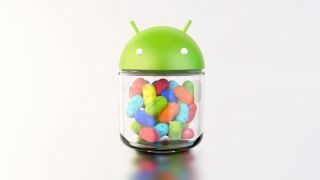 Bit by bit, Jelly Bean is showing up on more Android devices. The latest to reportedly get the roll out is the Acer Iconia Tab A700. Members of the XDA-Developers forum said Thursday they were seeing Android 4.1 show up on those devices. "I just got the Jelly Bean update on a German ACER A700," a member wrote on the site. Users in Holland and the U.S. are also reportedly receiving the update. Earlier this week, Asus started rolling out the OS update to its Transformer Prime tablet, plus confirmed the Transformer Pad Infinity will get it soon. The Prime's update started out in Sweden, so having an international start for the A700 before jumping to other continents isn't far out of line for the update's rollout plan. Acer hasn't officially confirmed the update yet, but it said in July Jelly Bean would descend on "several tablets soon." The company is also reportedly planning a Jelly Bean-loaded Iconia Tab A110 release for later this year, so it's certainly got Android upgrades front and center. Some issues with installation have been reported, though for those who've successfully downloaded the upgrade (on 332MB models), improved performance, an improved UI, additional photo features, and bug fixes are all part of the positive feedback. Don't worry, world, Jelly Bean is slowly but surely coming to more and more mobile devices.